Naby Keita started his fourth successive game for the Reds for the first time since signing from RB Leipzig as he performed excellently against Bournemouth at Anfield – and fans were impressed. Jurgen Klopp elected to stick by his man, leaving Jordan Henderson on the substitutes bench, and he was rewarded for doing so. It wasn’t just journalists who were raving about Keita – plenty of Reds fans were very happy for the number eight, too. Naby Keita much improved. Looked lively throughout, providing chances to the front three including a brilliant through ball to Firmino for the 3rd. Brighter off the ball too, working hard to win possession back. Really stepped it up a gear – central role is where he needs to be. That’s the Naby Keïta we all shamelessly stalked at RB Leipzig. An hour down, and Naby Keita now on two hockey assists and a press leading to a goal. 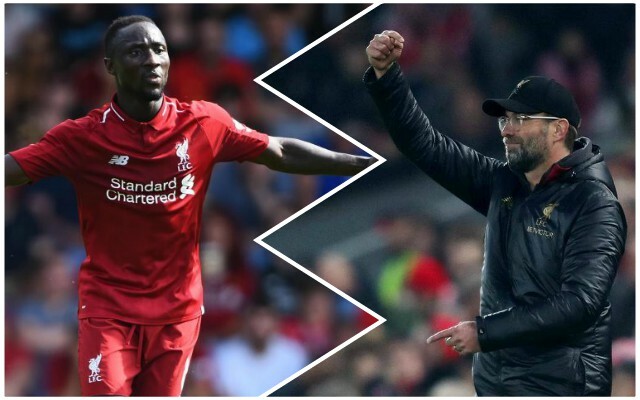 This was the Naby Keita we thought we were getting – one which can create and control as he did against Bournemouth expertly. He will be hopeful of retaining his place against Bayern Munich in the Champions League next time out – having performed like he did, it would be very harsh to leave him out. If he can build on that showing in the coming months, Keita could well become crucial – that would be a real boost for the Reds. We know he’s capable – it’s just a case of consistency and confidence.